Nearly 30 million Americans are currently diagnosed with diabetes, which has tripled since 1990; and an additional 86 million Americans are pre-diabetic. Over 8 million more people are undiagnosed. 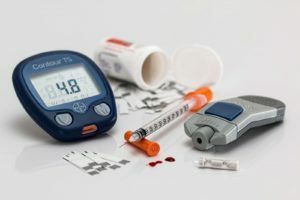 If the trends continue, the Centers for Disease Control estimates 438 million Americans will be diabetic by 2030, and one in three people by 2050. Today, diabetes causes about 50,000 cases of kidney failure, 75,000 lower extremity amputations, 650,000 cases of vision loss, and about 75,000 deaths every year. The disease called ‘diabetes mellitus’ comes from two words: diabetes (Greek for “to pass through, or siphon”) and mellitus (Latin for “honey sweet”). Believe it nor not, before modern-day laboratory testing, people would actually taste urine to test how sweet it was. The disease is diagnosed by elevated sugar levels in the blood, which is due to either the pancreas not making enough insulin (Type 1 diabetes), or because the body becomes resistant to insulin’s effects (Type 2 diabetes), which we’ll be focusing on in this column. Here’s how the system works: Our digestive system breaks down carbohydrates into a simple sugar called glucose, which is the primary source of fuel for our cells. To get from the bloodstream into the cells, however, glucose requires insulin. Insulin has been referred to as the “key” that unlocks the door to our cells, which then allows glucose to enter. Without the insulin key to unlock the cell’s door, our cells cannot accept glucose, and as a result the glucose builds up in our blood. Over time, excess glucose in the blood can damage the blood vessels throughout the body, leading to heart attacks, stroke, kidney failure and blindness. High blood sugar can also affect our nerves, creating a condition known as neuropathy that can cause numbness, tingling and pain. Type 2 diabetes accounts for 90-95 percent of diabetes cases. In most cases, the pancreas is making enough insulin, but the cells have become “insulin resistant”. What causes this resistance? What’s gumming up the door locks on our cells, thereby preventing insulin from escorting glucose into those cells? The answer is fat. Specifically, Intramyocellular Fat – or the fat inside our muscle cells. No matter how much insulin is produced, the fat-compromised cells cannot effectively use it. Most diabetics have tried to compensate for their cell’s resistance by limiting their sugar and starch intake, with the idea being that if you get too much carbohydrate, your cells will be overwhelmed with too much glucose. However, research dating back to 1927 and mounds of credible research today shows that the problem is not carbohydrate, but rather the fat in the bloodstream. It can be fat from the diet or fat from one’s own fat stores (which is why carrying excess body weight is the #1 risk factor for developing diabetes). Using MRI technology, researchers are now able to track the effect of one high fat meat meal in the bloodstream and the resulting interference with insulin function. But there is some very good news. It’s been long established that a diet of all-you-can eat whole grains, greens, beans, fruits, nuts, vegetables (including starches such as potatoes, rice and pasta) can effectively lower A1C levels to normal ranges in a short amount of time. One study published more than 35 years ago resulted in participants (some who had been diabetic for two decades and injecting 20 units of insulin a day) cutting their insulin requirements by 60% – after only 16 days on the diet. That’s more than any type of treatment can do, including medications, limiting food intake, or the current diabetes diet that’s typically prescribed. 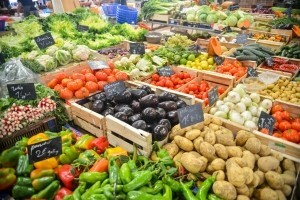 The American Diabetes Association’s Clinical Practice Recommendations have cited the value of whole, plant food diets for Type 2 diabetes for several years. And here’s an added bonus, according to registered dietitian Susan Levin, M.S., R.D., who says “A diet change beats a pill. 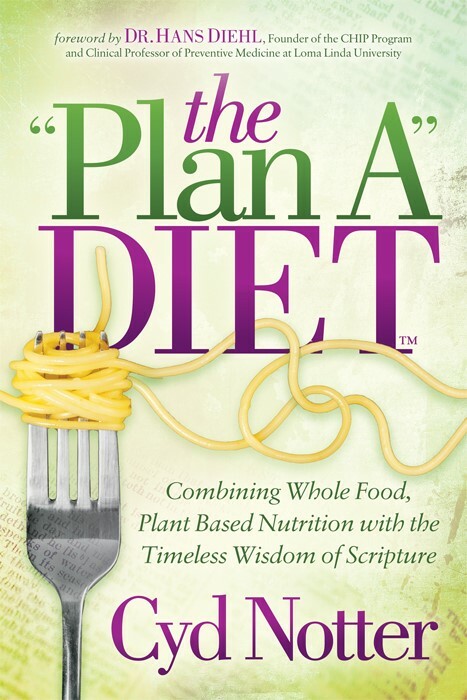 A plant-based diet improves blood sugar, body weight, blood pressure and cholesterol all at the same time, something no drug can do.” So why “manage” diabetes when the chance is high that it can be eliminated? We have a few former diabetics right here in our area who would love to tell you their story. I’m at your service if you’d like to learn more about this topic. Visit www.cydnotter.com to contact me or sign up for our newsletter to receive class information. References for the studies I’ve mentioned provided upon request.